You might have looked into those little rock caves, signs and other decorative things to place inside the tank, but have you ever thought of adding some of the freshwater aquarium plants out there that can provide you with the beautiful look and feel you want out of a fish tank? They’re easy to care for and can make the tank look beautiful, while providing healing effects to the fish and cleaning effects to the tank. This means less work for you overall. With so many options to go with, you can customize the tank to look however you’d like, depending on the type of plants that you choose to place inside the water. This is what is going to make your tank stand out. I chose many of the colorful, yet larger ones to go in my tank. 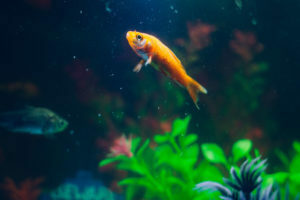 This was because I wanted something that dominated the inside and provided my fish with a way to have their own privacy and space when swimming around on the inside. Ready to find your freshwater plants for the inside of your aquarium?